By Wesley Fenlon on July 5, 2013 at 4 p.m.
How Soviet Russia envisioned the future of industry and space travel, through the lens of a technology magazine published in the mid 20th century. When the space race raged in the 1950s, fantastical visions of the future of travel were everywhere. Magazines like Popular Mechanics ran speculative articles about the rockets and space stations that would take civilization to the stars, and the accompanying artwork blurred the line between fiction and plausible reality. 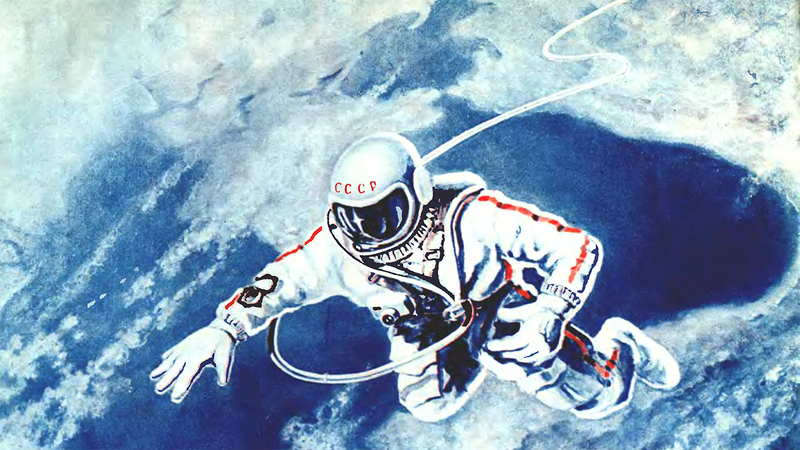 This art had a real affect on the space race in both the United States and Soviet Union; where Popular Mechanics, Mechanix Illustrated, and Disney's Tomorrowland set the tone for the US space program, the Soviet Union's most influential art may have come from the magazine Tekhnika Molodezhi. Tekhnika Molodezhi, or Technology for the Youth, was first published in Russia in 1933. Throughout World War II, its covers would often depict the weapons and technologies of war. Then things changed. With the war over, the magazine began to mirror Popular Mechanics, depicting deep sea exploration, gyrocopters and rocket cars, space capsules and lunar missions. 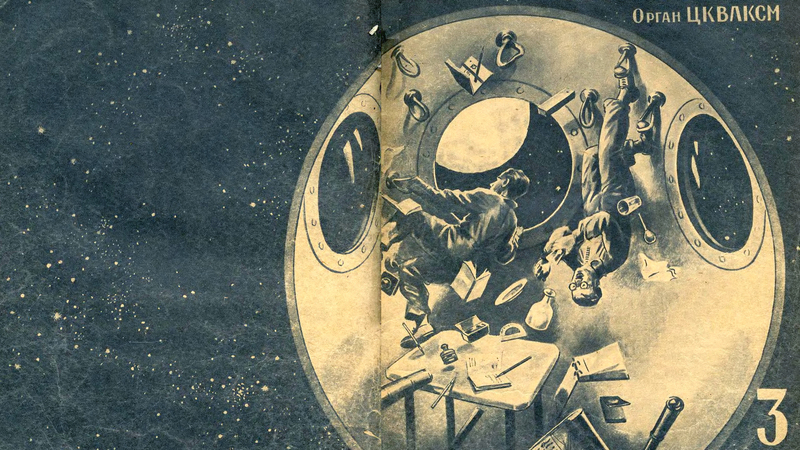 When I wrote about the influence of sci-fi propaganda across cultures, I found some amazing examples of Tekhnika Molodezhi's space art, but those were only a few examples of the hundreds of covers the magazine has run in its 80 year existence. 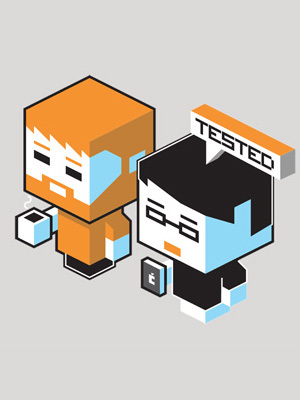 Since then I've hunted down more of them online, ranging from as far back as the 1930s and as far forward as the 1970s. Even the ones that don't depict space exploration offer a rare and fascinating amount of insight into the pop culture depiction of futurism in Russia. Perhaps the most widely publicized Moon-rocket project in the Soviet Union is that proposed by Yu. S. Khlebtsevich, which made its first appearance in an article entitled "On the Way to the Stars," in Tekhnika-Molodezhi in July 1954; later it was published in an expanded form as The Road Into the Cosmos, in the November 1955 issue of Nauka i Zhizn'. Khlebtsevich suggests landing a mobile "tankette-laboratory" on the Moon. The tankette, which would weigh not more than a few hundred pounds and would be radio controlled from the earth, would explore the surface of the moon and report its findings back to earth. Information so obtained would make possible the next stage-the mastery of the Moon by man in the next 5 to 10 years. Check out our favorite futurism art from Tekhnika Molodezhi right here.